So, it’s back to earth with a bump after our first ever family holiday in Denmark. It really was the perfect fortnight away. We saw family for a few nights – husband’s mother is Danish so he has cousins over there – and then spent time just the four of us, which was much needed. After seeing the Danish relations in their beautiful house full of lovely Danish-designed furniture and kitchenware (I had serious kitchen envy… am now saving for an Alessi kettle), we spent time on the northernmost tip of the Jutland peninsula – a beautiful headland called Skagen (pronounced ‘Skay-en’), a place famed for its beautiful light, enormous sand dunes and vast sandy beaches. From there we headed to the west coast, to Henne Strand, where were lucky enough to stay in a traditional wooden summerhouse nestled in its own sand dune, surrounded by wild heather, just a 10-minute walk from the beach. The stars were beautiful, and the silence very welcome. We rounded it all off with three days in Copenhagen, which teems with bicycles, wonderful restaurants, trendy districts and beautiful harbour views. 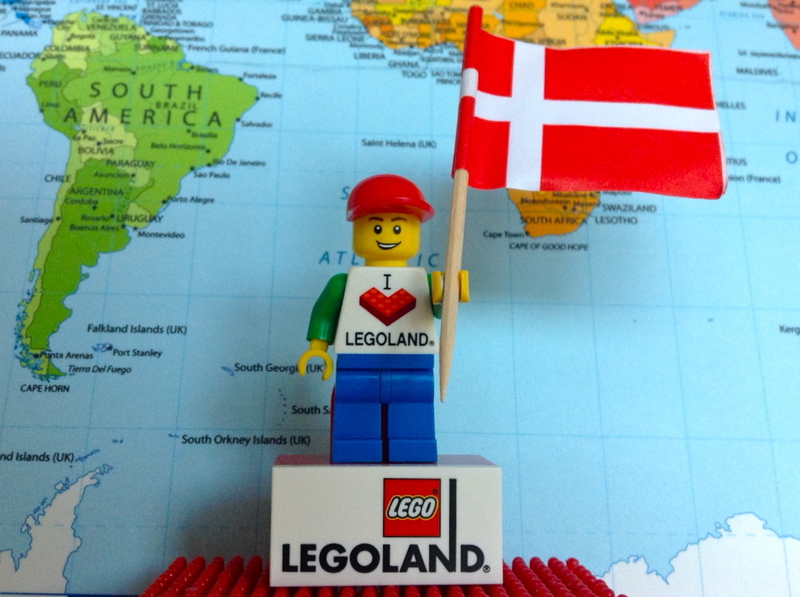 Oh, and I almost forgot – of course, we went to Legoland in Billund, which was superb – perfect for the little one and the big one, and us even bigger ones. We were all captivated by Miniland. Overall, it was organised, fun, nice vibe, hardly any queues. Loved it. Spending time together as a family is like a tonic. Yes, of course, travelling with young children can be stressful at times, but being together, finding a new rhythm, not rushing to school, or checking the clock all the time, discovering new things together, having time to just potter around our surroundings, taking a breather from the city… holidays are the moments memories are made of. So I will be making a holiday photo album, and remembering Denmark with fondness. In the mean time, particularly food-wise, I will have to make do with Signe Johansen’s wonderful Scandilicious cook books, the occasional trip to The Scandinavian Kitchen in London, and maybe a trip to the Scandinavia Show later in the year. While we were away, I compiled a little list of Good Danish Things and Bad Danish Things. See below. – Smørrebrød (open sandwiches topped with things like pickled herring, potato and dill, or little slices of cheese, or Danish salami). Son (6) astonished everyone by announcing that he ‘loves’ pickled herring. – Individual duvets – there are no duvet-hoggers in Denmark, because everyone has their own! Even on a double bed, you get a duvet each. Heaven. – Cycle lanes – they are everywhere and they are amazing. Makes us look rather backwards in the UK, frankly. Cycling keeps you fit, the whole family can do it together, and it’s safe. Top marks. – Mini shopping trolleys – we visited a few supermarkets and they all had them for the kids to push around. A godsend. Why don’t we have in the UK? 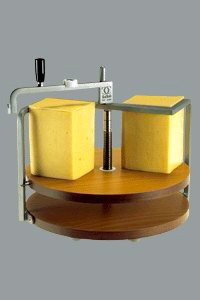 – Cheese slicers – the breakfast buffet at the hotel in Copenhagen featured an amazing wheel-like cheese cutter with a wire that you rotate by hand and it slices the cheese. Soooo cool. I wanted to slip it into my suitcase. Called a ostekærer it looks like this, and is completely awesome. – Trendy kitchenware shops – I discovered Danish kitchenware brands Eva Solo (available from John Lewis, Rig Tig and Rosti Mepal, all of which feature beautiful designs and useful gadgets and products. I was in heaven (again!). – Charging for tap water – this seemed to be the norm in restaurants, and was a bit of a shock given that it’s always free in the UK of course. If you fancy a trip to Denmark, I suggest you visit Visit Denmark as a starting point.